The Slimming World Diet plan has been taking slimmers by storm for half a century and is now one of the most popular diet programs in the UK, with huge numbers of participants sharing their journeys on social media, and a great deal of Slimming World recipe books published. If you’re an experienced slimmer and have reached the end of your Slimming World journey, you probably have a few Slimming World books taking up space in your cookbook collection. 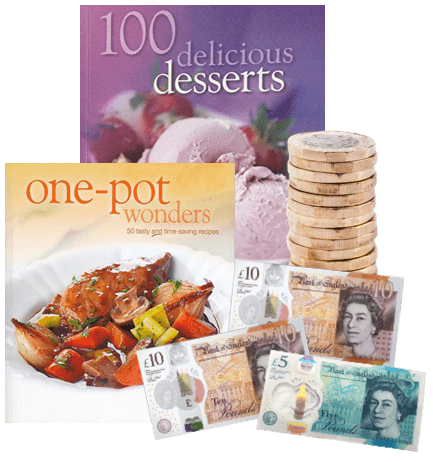 Once you’ve cooked something so many times, and get to know a diet plan so well that you know it all off by heart, you may as well exchange your Slimming World recipe books for cash! Sell used Slimming World Books on the go with our mobile app! It transforms your phone’s camera into a clever scanning device, meaning you can get valuations for your used slimming world books whenever and wherever. So, even if you’ve got piles and piles of used slimming world books to sell, it won’t take you long to swap them for cash! 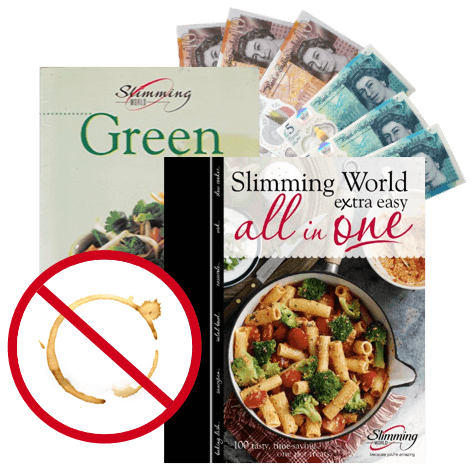 How do I exchange Slimming World Books for cash? Getting to your goal weight may not be an instant process (unfortunately! ), but luckily, selling your Slimming World recipe books with WeBuyBooks is super speedy! 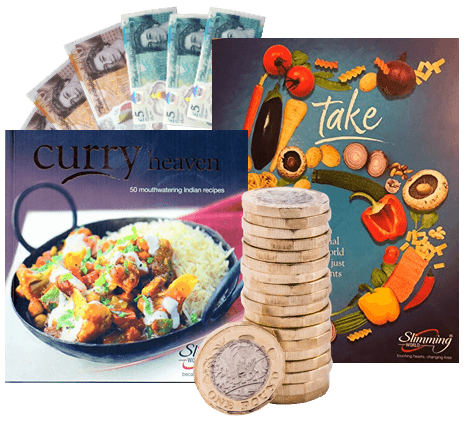 Just browse our catalogue of slimming world books to find yours, receive an instant valuation, pack up and send us your items to us, and then wait for the money to arrive in the bank! And you won’t be waiting for long, as we pay you the very next day after we have checked your used Slimming World recipe books. 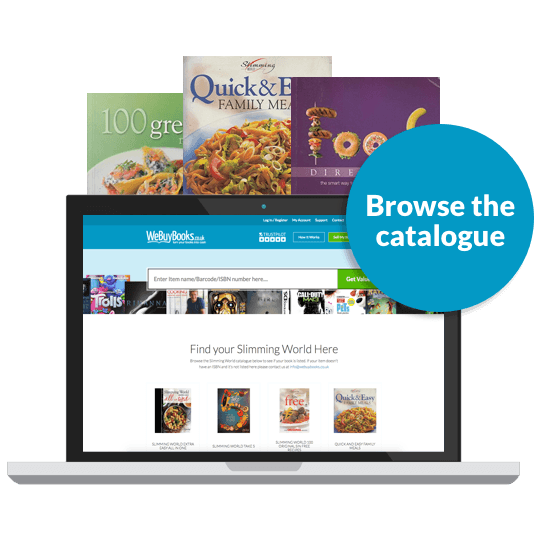 Can I sell any Slimming World books? …and lot’s more! Just make sure they comply with our item condition guidelines. If they’ve been splashed with your foodie creations during cooking sessions, or have any tears or missing pages from rigorous reading, we won’t be able to accept them – have a read of our guidelines to avoid disappointment. It’s possible that you could receive more cash for your used Slimming World books if you sell them on auction websites, but selling with WeBuyBooks saves you valuable time and energy. Say goodbye to the tricky business of calculating postage costs and to multiple trips to the post office – we provide you with a handy pre-paid postage label, and you can send multiple items to us in one go! 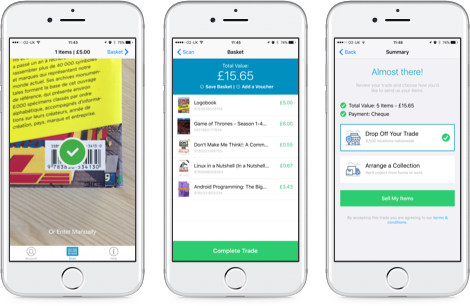 Earn money and avoid stress with WeBuyBooks. Send your Slimming World Books, DVDs, games and CDs to us and we’ll send you some money. Less clutter at home and more money – what’s not to love about that? So don’t wait – sell online today with We Buy Books. If you’d like some extra help, then please don’t hesitate to get in touch. Just give us a call on 01706 248281.